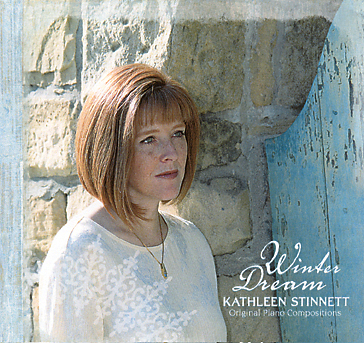 "Winter Dream's lyrical piano music soothes the mind, awakens the heart and exalts the spirit. Listening to Winter Dream creates a sense of being carried by the wind, of floating upon a cloud, and embracing the divine." "I feel like your music literally 'dances with my heart' and moves me to a very positive 'life beat.' Your music soothes my heart and inspires my soul. Winter Dream is a loving hug you're sharing with us." "The best thing to brighten a gray Seattle afternoon is listening to Kathleen Stinnett. I love to watch the birds play in puddles to the tune of Music Box."